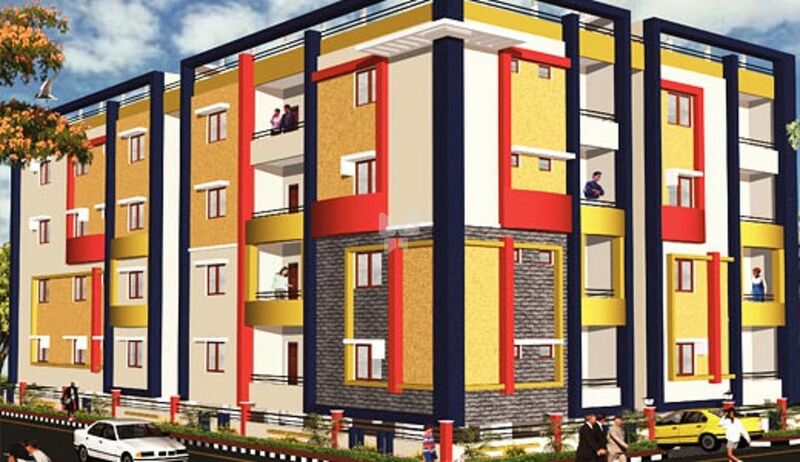 How Far is Chaitanya Ram Residency? Ram Residency is a well-designed residency by Chaitanya Constructions. The project has a number of modern amenities and facilities that are attached to offer a life of luxury and accessibility to the inhabitants. It has a current design and grace that improves the total demand and viewpoint of this residency. The rooms are airy and offer suitable privacy to the inhabitants allowing them lead a pleasant stay. Teakwood frame and Teakwood Shutter with Polish. Non-Teakwood frames and teak wood shutters with glass and safety grills. Marble Flooring in all rooms except toilets. Ceramic Flooring and Ceramic tile wall cladding upto door height. Good quality sanitary fittings will be provided. Indian commede in one toilets and European commode in the other toilets will be provided. Provision for geyser shower and cold/hot water mixer. Granite Plat Form with glazed tile dado up to T Height and built in sink. Provision for exhaust fan will be provided. 151 mark G.I. Piping and good quality PVC sanitary piping. Emulsion paints for internal walls. Snowcem for external walls. Enamal Paint for intemal doors windows and grills. Concealed copper wiring, adequate points with modular switches for lamps, tube lights, ceiling fans and exhaust fan including TV and fridge point in hall. A.C. Pont in Master bed room. Genser point in bath room with 3 phase meter and MCB will be provided in each flat. Lift, Car parking, Electrical & Sanitary works at extra cost.